Preventative Maintenance on your compressed air system is very valuable. Timing is Money! Here’s a FREE service chart that can help you stay on schedule with your air compressor maintenance. If you were facing brain surgery – would you prefer a doctor that had done 25 of the operations you need or only one? Most likely you’d want the surgeon with experience. Experience does count! Same goes for lots of things, including the compressed air industry. At McGuire Air Compressors, we are happy to say that we are celebrating 35 years of EXPERIENCE in 2016! Since 1981, Tommy McGuire has owned and operated McGuire Air Compressors in Graham, NC. He and his Certified Service Technicians have worked with compressors from ½ horsepower to over 700 hp. McGuire Air Compressors, Inc. is located in a 10,000 square foot facility in the heart of Piedmont North Carolina. McGuire Air Compressor services customers in central North Carolina and south central Virginia. Experience counts. Why not count on us for your next air compressor, oil & filters, replacement pumps and refrigerated air dryers. 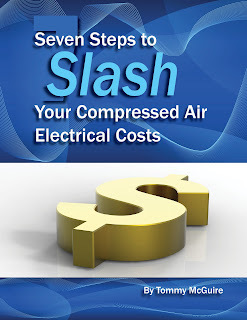 Compressed air is considered an “industrial utility” that usually comes with a huge annual electric bill. 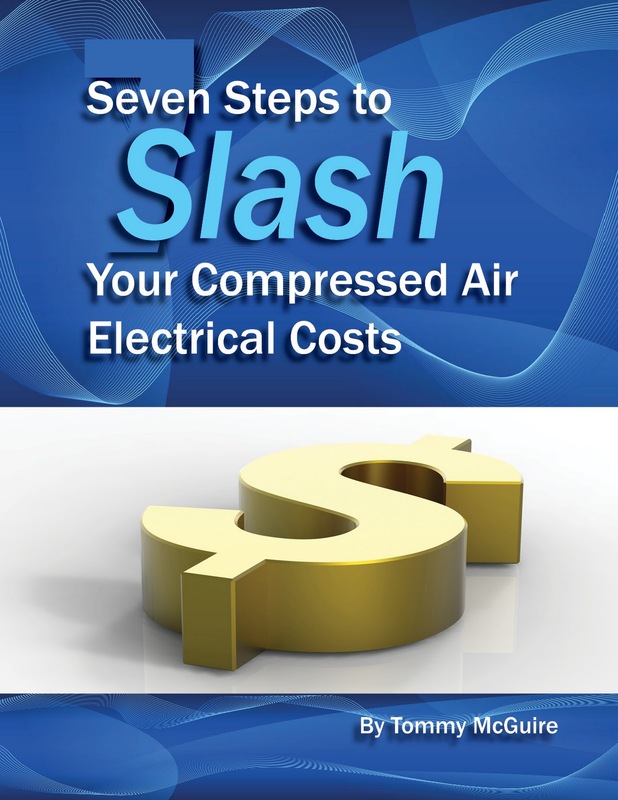 Now you can have access to the compressed air industry’s energy audit secret formulas. Professional compressed air energy audits can cost thousands of dollars. But this step-by-step book will show you the formulas the pros use to discover how much energy you are wasting. These formulas would take you hours of research to discover- if you had access to the industry’s technical material. We have collected them for you and put them in a simple, easy-to-follow order that will help you find and fix your top four biggest compressed air energy-wasters. -One of the biggest advantages to this handbook’s approach is that you don’t have to spend “an arm and a leg” in order to see BIG savings. -You’ll get instructions to make key adjustments on your equipment – which will cost very little. -You will need to perform a thorough annual PM on your air compressor system – which should be inexpensive as well as part of your normal preventative maintenance. -You can even use the formulas to figure your savings BEFORE you begin to implement the recommendations. It’s just a smarter way of operating your compressed air system. The valuable information in this handbook can save you hundreds, probably thousands of dollars this year. Don’t pass up this opportunity. All these compressed air industry’s secret formulas and step-by-step instructions to huge savings are yours for only $39.95. Owner of McGuire Air Compressors, Inc.